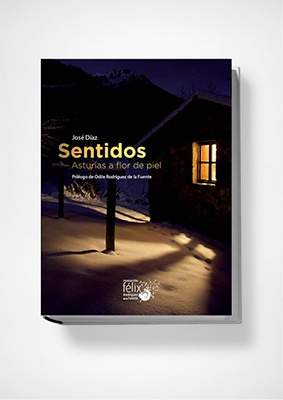 This is José Díaz’s second book. He published it himself, supported by the Félix Rodríguez de la Fuente Foundation, whose president, Odile, wrote the preface. It is a profound and intimate work, which gives us a close look into human relations, the people of Caleao and José’s personal experiences. It is a catalogue of special places and unforgettable moments. The images in this book are especially vivid, due to the size of the pages and its original layout. As for the words, the author gives us his particular point of view about life, progress and welfare state, praising a come back to the origin, to what is genuine, to the universal and timeless values and reflecting on the current relationship between men and nature. Nature appears in this book with all its strength, always accompanied by the author’s thoughts or considerations. However, we find the most touching part of this work in the portraits of local people, captured with an almost brotherly tenderness. These images are able to transmit the profound and sincere love that has grown between the author and those people. YOU CAN GET “SENTIDOS” (SENSES) FOR 59€, SHIPPING COSTS INCLUDED. Pack 2 books: 15% discount. Pack 3 books: 20% discount. Pack 4 books: 30% discount. Entradas al paraíso (ENTRIES TO PARADISE). There are people who are born linked to a place, in which they live as a fabric more than a harmonious being of solid roots. Others, wander from here to there, browsing, perceiving, experimenting, in an itinerant search process, until a good day arrives: it is a call, a kind of telluric connection that goes beyond words. It is finding a place in the world. Your place. In Caleao, inside the spectacular network park, José Díaz has discovered this privilege after half a life exploring the territory and merging with its people. From the moment he put his feet and heart in these places, he has come to establish a relationship that transcends the personal. He has managed to capture its depth, listen to their voices, know their secrets and discover the origin of all poems, as Whitman would say. And it has captured all these intimate experiences in the works my cabin, my world and senses. This is the fascinating universe that he wants to share: the warmth of his cabin and his person, a whole catalog of amazing and unusual experiences and the enchantment of the natural park of networks. 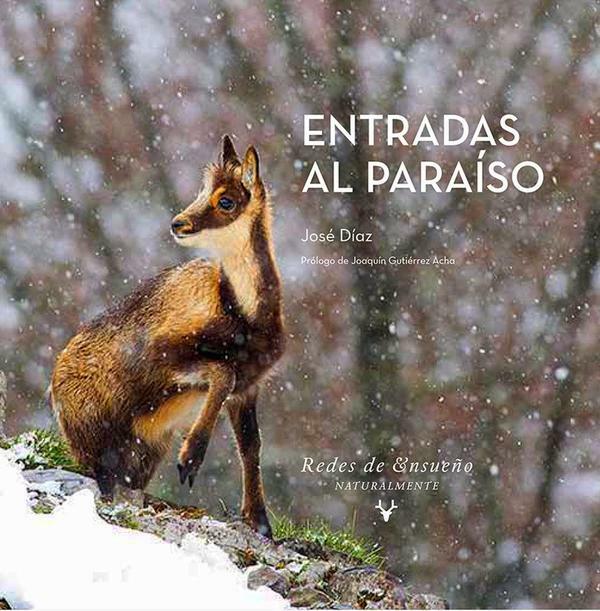 YOU CAN GET "Entradas al Paraíso" (ENTRIES TO PARADISE) por 47.85€, SHIPPING COSTS INCLUDED. Redes de Ensueño (MY CABIN, MY WORLD. DREAMSCAPE REDES). Lights and shadows; textures; looks; woods; insects; water; snow and fog; and lastly, autumn are the chapters which make up this first book: a visual itinerary that moves harmoniously and poetically through its incredibly beautiful pages. Each photograph shows the day and time when it was shot, as well as a short caption about the author’s experience, feelings or intention while taking it. In the general introduction, as well as in every one of the small texts that open each chapter, the author is able to transmit how he himself has surrendered to the breath-taking beauty of nature in Redes National Park and has remained enchanted by this dreamscape ever since. 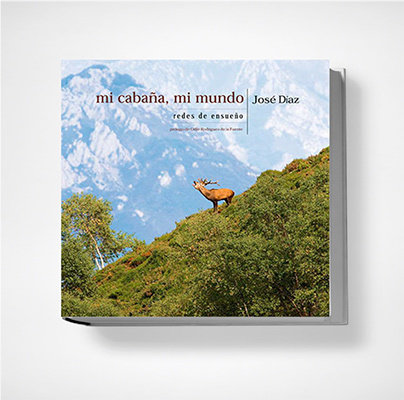 YOU CAN GET “MI CABAÑA, MI MUNDO” (MY CABIN, MY WORLD) FOR 47,50€, SHIPPING COSTS INCLUDED. 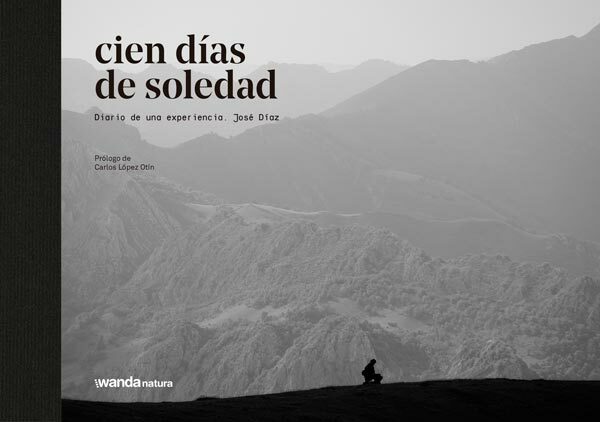 YOU CAN GET "100 días de soledad.Diario de una experiencia" (One hundred days of solitude. Diary of an experience) FOR 29,90€, SHIPPING COSTS INCLUDED.